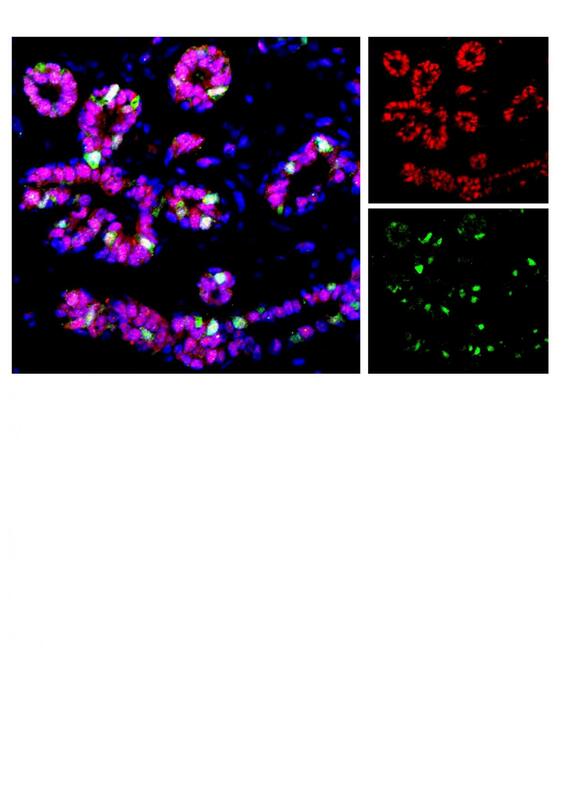 Researchers from the University of California, Irvine School of Medicine, in collaboration with scientists at UCSF and Northwestern University, have profiled human breast epithelial cells, identifying three new distinct epithelial cell populations. The discovery of these cell populations could aid in understanding the origins of breast cancer and lead to improved early cancer detection, a slowing of cancer progression and possibly even cancer prevention. The study, published in Nature Communications, was led by UCI biomedical researcher Kai Kessenbrock, PhD, assistant professor of biological chemistry, and titled, "Profiling human breast epithelial cells using single cell RNA sequencing identifies cell diversity." The researchers used a next generation sequencing technology in combination with single-cell mRNA sequencing (scRNAseq) to create a high-resolution molecular census of human breast epithelial cells. The scRNAseq technology enabled the recognition of previously unseen cellular differences. Breast cancer arises from breast epithelial cells that acquire genetic alterations. These alterations lead to cellular changes within the breast tissue that eventually develop into cancer. Understanding the origins of breast cancer, in its earliest phases, has the potential to improve methods of early cancer detection and may ultimately form the basis to prevent cancer progression before it turns into a life-threatening disease. "Even with all of the research that has been done, gaps still exist in our understanding of the full spectrum of cellular diversity that exists in the human body and, specifically, the distinct cell types that comprise the human breast epithelium. These gaps hinder our ability to investigate the role of different cells in cancer initiation and progression. Our discovery of the three epithelial cell populations closes some of those gaps and may help us understand how the system goes awry during breast cancer," said Kessenbrock. "Our analysis provides unprecedented insights into the diverse cellular populations that exist within the normal human breast epithelium and will serve as a valuable resource to understand how the system changes during the early stages of breast cancer and as the disease progresses," Kessenbrock added. The breast epithelium is composed of two known cell types, an inner layer of secretory luminal cells and an outer layer of basal/myoepithelial cells. UCI researchers analyzed the single-cell gene signatures from seven human individuals to reveal that there is a third distinct cell type hidden within the luminal compartment, which can now be distinguished as L1- and L2-type luminal cells. The researchers found that the L1-type represents a secretory cell type, whereas L2-type cells function as hormone-sensing components within the breast tissue. <p>Knowledge of these distinct subpopulations of breast epithelial cells may serve as a starting point to reconstruct the origins for the different subtypes of breast cancer. Their work will serve as a resource to map out the defined changes occurring during breast cancer and potential areas of improvement for methods of cancer early detection and possibly strategies for cancer prevention. The Kessenbrock lab, together with UCI researcher Devon Lawson, PhD and Nicholas Navin, PhD at MD Anderson, is currently pursuing a similar approach to comprehensively map out all cell types of the human breast tissue as part of the international Human Cell Atlas initiative (currently funded by the Chan/Zuckerberg Initiative: HCA-A-1704-01668).